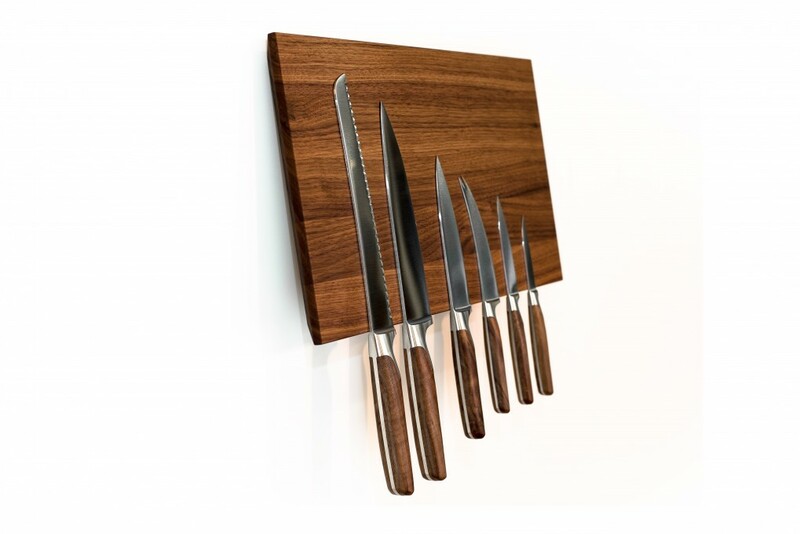 This wooden knife block made from solid nut wood is perfect for storing any kind of knife: bread knife, bone knife, vegetable knife - you name it. 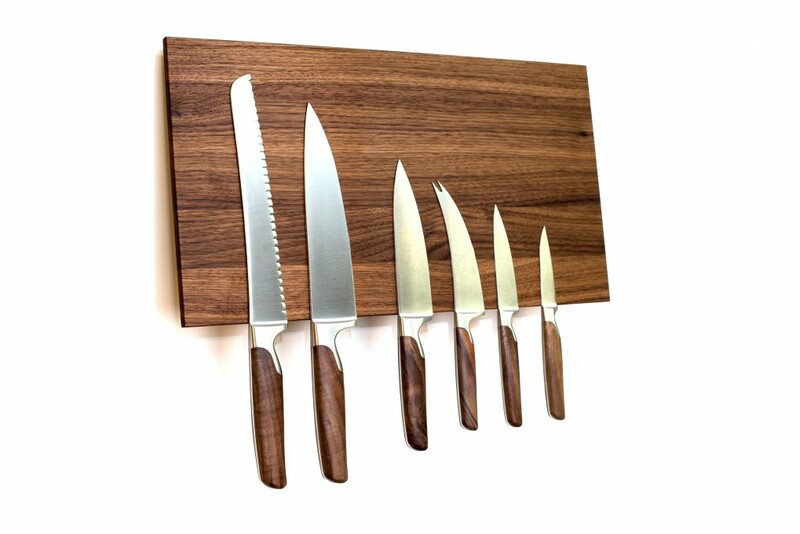 Your high-quality knives are safely stored and yet easy to grab. 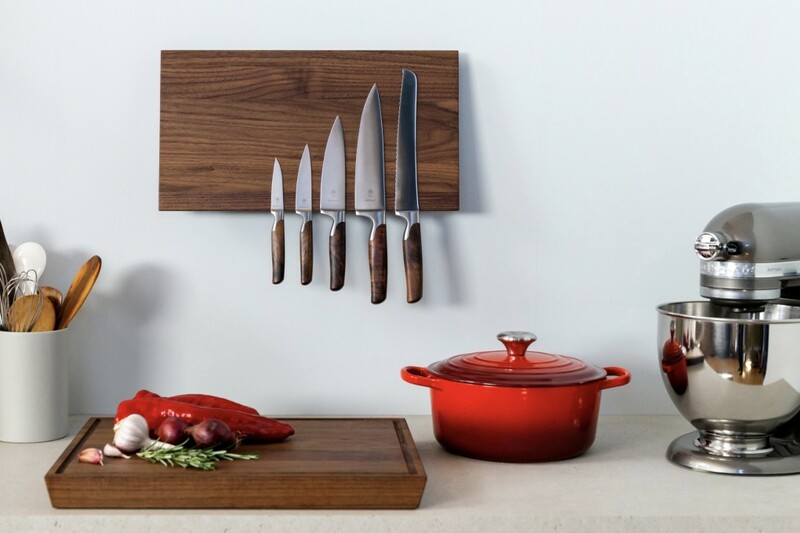 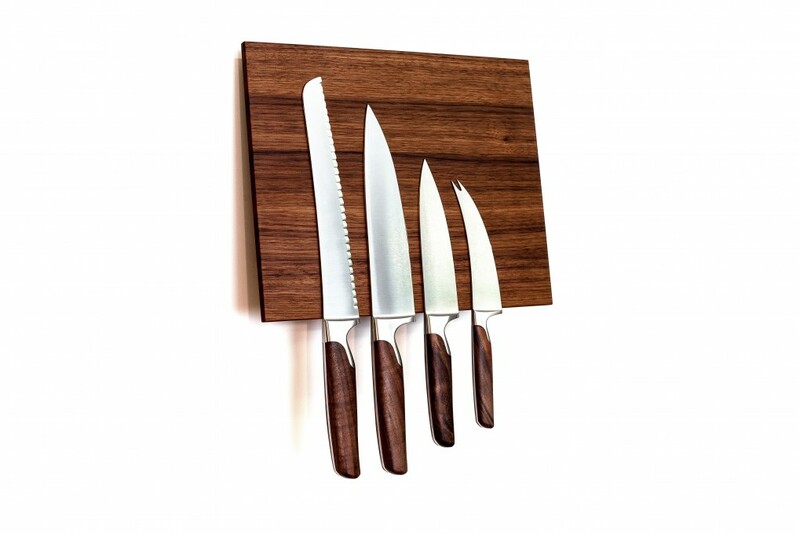 You will always have your cooking knives at hand with this knife block made from solid nut wood. 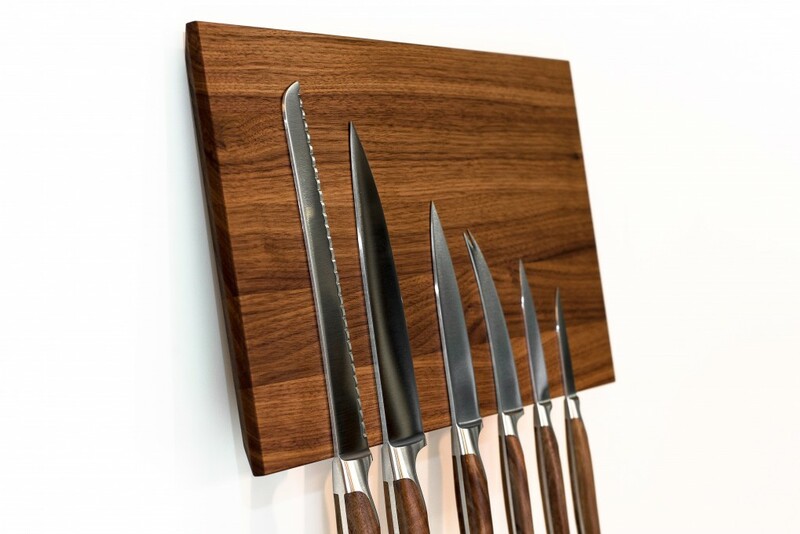 Our understated design conceals the effective power of up to 18 magnets which keep your kitchen knives in place. 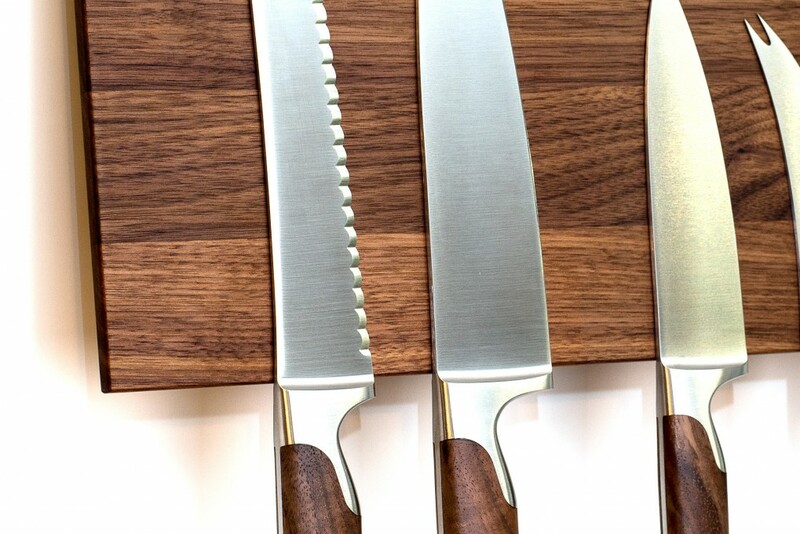 The wooden surface is slightly slanted (9%) which adds an elegant touch and facilitates the handling of the knives. 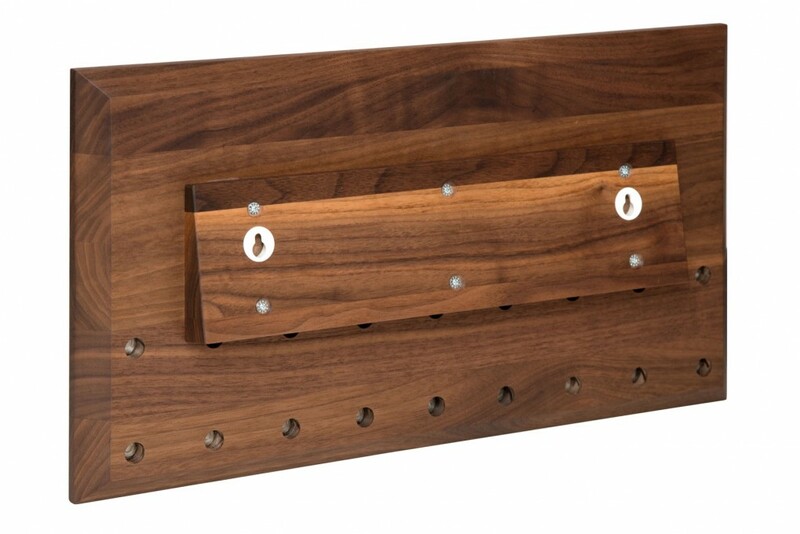 Two mounting screws make for easy installation are not visible once installed.